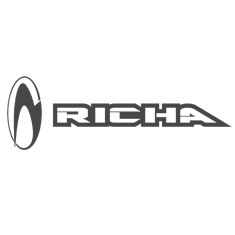 The Richa Diesel merges two of motorcycling's favourite materials: leather and denim. The sleeves of the Diesel are constructed from high quality buffalo hide. The body is denim, but not your average denim: Richa utilises a strong Cordura denim which has 4 times more abrasion resistance. The elbows and shoulders are protected by CE-certified armour, and there is a pocket for an optional back protector.